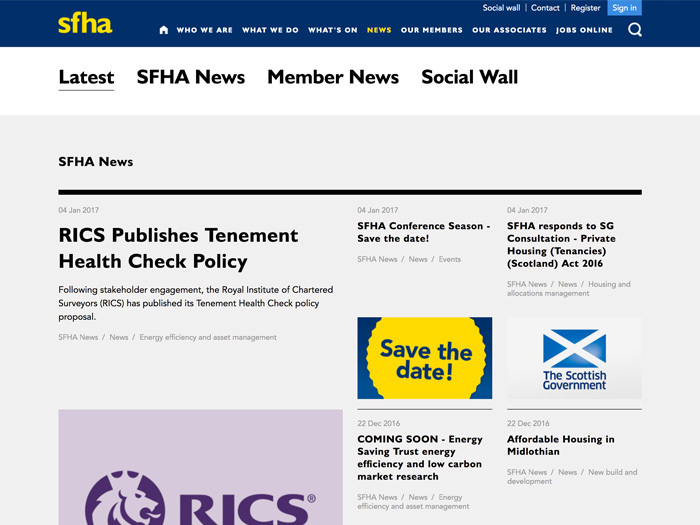 SFHA (Scottish Federation of Housing Associations) is a news site for all housing associations in Scotland. The site contains different categories of news, all accessed through different menu items in the main navigation. 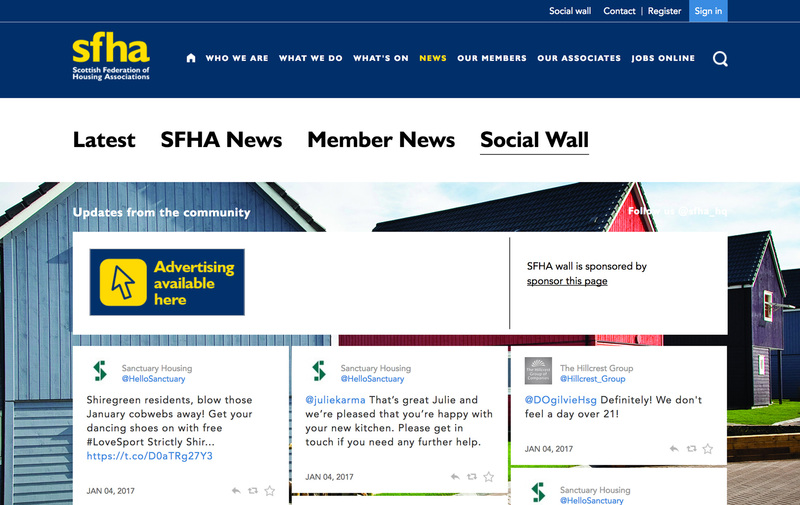 There is an events section displaying future and past events in list and calendar view, a twitter social wall pulling in tweets from over 40 different accounts, multiple contact and submission forms, interactive maps and indexes of information. It was one of the biggest sites I worked on at Everyone with a 6 month development time. 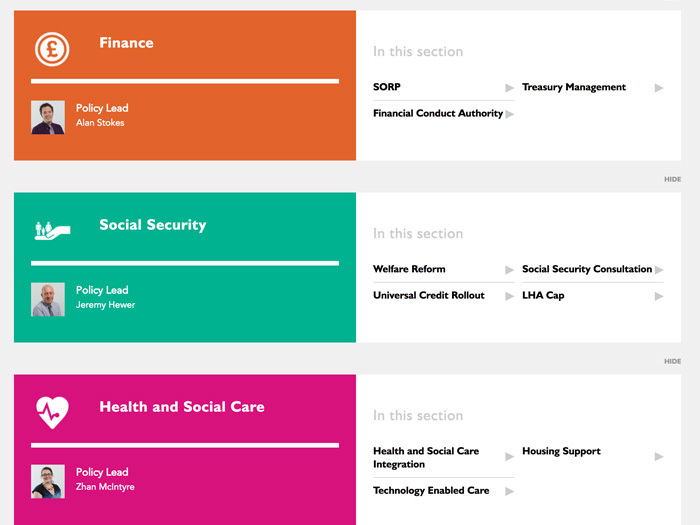 One of the biggest challenges of this build was building and maintaining all of the different news categories and the areas they appear. News appears in 20 different locations in some form throughout the site, so it was important to really think about how they were going to be coded and maintained easily. This in itself was not difficult except at the start of the build there was only 8 places where news appeared, so the spec and functionality grew considerably throughout the build, which was really not ideal because the design also changed. 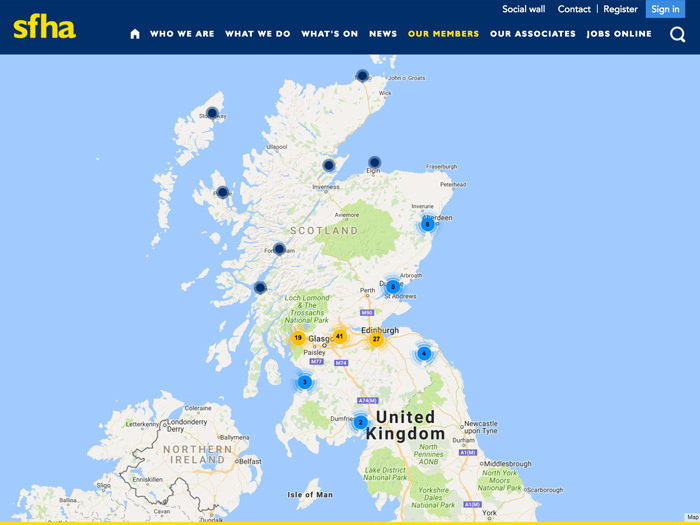 As the site grew and changed, it was important to try and maintain a sence of consistence throughout the site. All original news areas were recoded to match the new areas, making it much easier to maintain in the future. A headache to time consuming but needed to be done.